Do you use Facebook? Here are a few lesser-known facts about the world’s most popular social network. Has it really been 14 years since Facebook invaded our lives? Wow, how time flies when you’re liking, commenting, chatting, updating statuses, sharing funny cat pictures and posting photos of your dear friends in compromising positions. The name “Facebook” comes from the face book directories often given to American university students. Facebook was initially developed and designed as a student networking platform for Harvard, and it gradually spread to other educational institutions, high schools, and colleges. For some reason, I assumed the face that lived on the Facebook header until 2007 was a poorly-executed portrait of Mark Zuckerberg? I’m dumb. It’s actually a young Al Pacino, for reasons unclear. The logo was created by Zuckerberg’s friend and classmate Andrew McCollum. 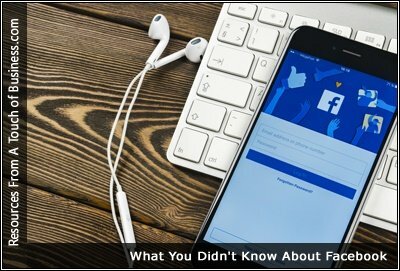 As you’d expect from the world’s most popular social media site, Facebook has a fascinating story – and more than a few trivia tidbits that might surprise you. Here are 21 amazing facts about Facebook that will prove just how remarkable the site really is. It’s hard to believe that Facebook has been a part of our lives for 14 years. The social media site, which was launched on February 4, 2004, by Mark Zuckerberg and fellow Harvard roommates, was first created as FaceMash, then transformed into TheFacebook. Everyone knows that Facebook has a huge reach online. In fact, Facebook is the second most visited website in the world behind Google. Did you know Apple played a huge role in keeping Facebook afloat during its early years? It’s priced its shares at $38, which means the company is worth more than $100 billion. It’s already worth more than most of the tech companies publicly traded today—combined. But there’s a lot you probably don’t know about the company and its founder and CEO, Mark Zuckerberg. Do you know why Facebook has a blue color scheme? Or who the former face of the brand is? Or how much money Zuck has turned down over the years? Now you do. Is it any secret that Facebook wants to rule the world?